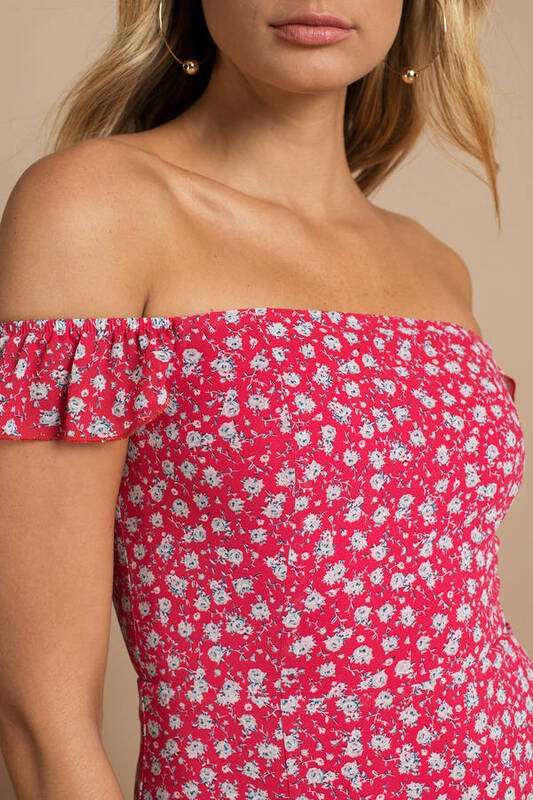 Check out Tobi's Sidney Off Shoulder Maxi Dress Yacht dresses: always an inspiration when we're feeling fancy. Go for max impact in the Red Multi Sidney Off Shoulder Maxi Dress, a floral maxi with cute frill sleeves and an elegant slit at the front. Team this thigh split dress with block heel sandals next time you plan to have a cocktail in your hand. Yacht dresses: always an inspiration when we're feeling fancy. 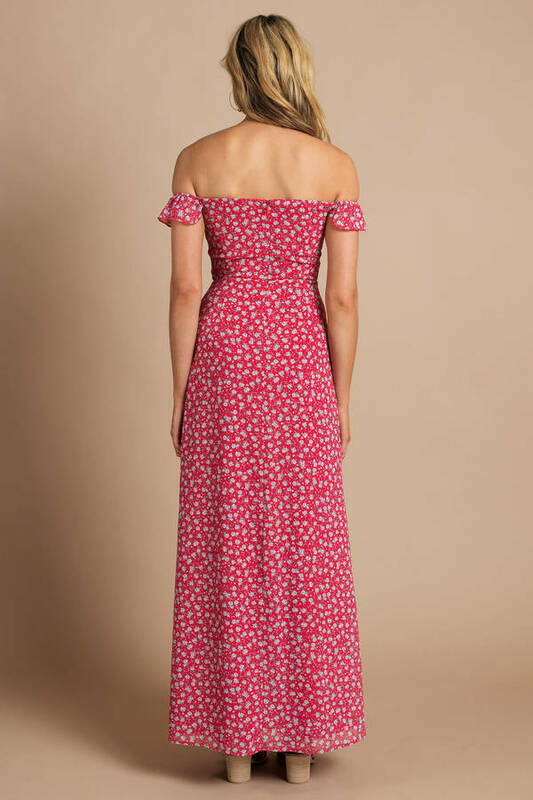 Go for max impact in the Red Multi Sidney Off Shoulder Maxi Dress, a floral maxi with cute frill sleeves and an elegant slit at the front. Team this thigh split dress with block heel sandals next time you plan to have a cocktail in your hand.